Thank you, Michelle and Kyle! We are so grateful for your efforts in spreading awareness and acceptance for kids with facial differences through Wonder. "Michelle set out to find support through the clinic and social networks with no luck until she contacted CCA. The organization sent brochures and information on Kyle’s condition and its yearly retreat. 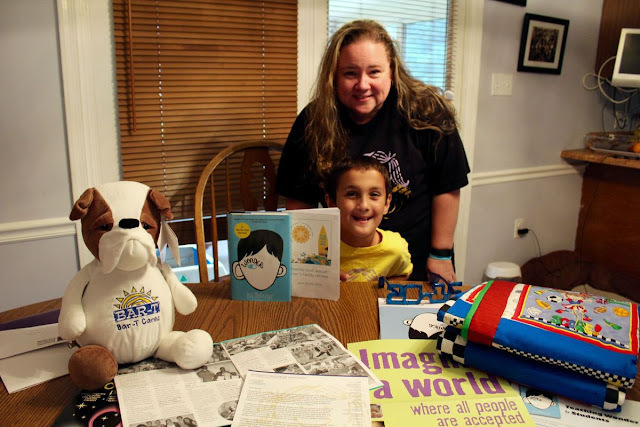 It wasn’t until Michelle and Kyle read the book Wonder, by R. J. Palacio, now being made into a movie, that Kyle’s eyes opened to discover he was not the only one with this condition."